Angle is everything when producing a good flat lay and shooting from a bird’s eye view will bring harmony to your shot by equally showcasing all items featured. Naturally some flay lays can be shot on a diagonal and should this be your aesthetic work with what best represents you. Further take a moment to decide the depth of the flay lay ie. will you be shooting close or from a distance. Lastly, don’t be afraid to experiment with use of space, positioning and intentional white/negative space. 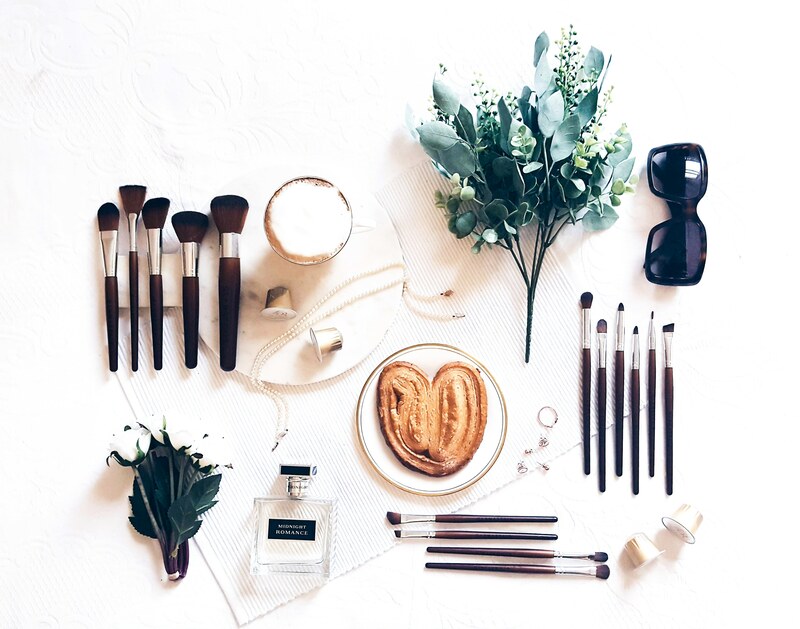 The key to a seamless flat lay is keeping the colour palette simple. Focus on a single shade to feature with no more than two complimenting tones that are used for accent purposes only and thus used sparingly. Your complimenting colours should not draw the eye or pull focus from the main item. 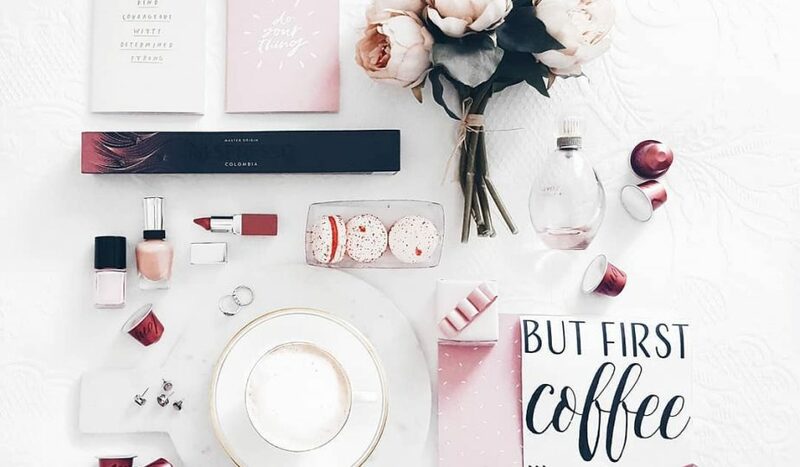 When studying flat lays it is the little things like flowers, coloured paper and other decorative items that add dimension to the overall flat lay composition. To make life easier on yourself build a box of props filled with items collected along the way. For me party, home décor and art supply stores are a fantastic place to find all the bits and bobs you might need and should you be on the hunt for material be sure to visit your local charity store. In addition to a prop box it is always beneficial to have a few little tools on hand to help achieve a well structured flat lay. Items like rulers and double sided tape will help keep items straight and in place benefiting the overall final result. I would also recommend finding small building blocks, preferably white to match your backdrop, which can be used to raise items thereby equalising the image and reducing shadow. Upon constructing your flat lay take a moment to reflect upon your aesthetic prior to proceeding. You also want to consider what platform your image will be used on and whether the composition you intend on creating will be compatible with your brand. The two components you want to take into consideration are your lines and content ie. straight vs deconstructed and minimal vs detailed. Contrast will provide your images with character and can help highlight the overall theme of your aesthetic. This can be achieved through the addition of objects varying in size, shape and texture. Take it one step further by extending your contrast to your overall context. For example should you be creating a flat lay around a pair of shoes contrast with a cup of coffee, flowers and anything else outside of the clothing spectrum. Lighting is the backbone to any photograph and the use of natural light will result in a more even image thereby reducing your editing time. Most importantly natural light is more cost effective and though you will always be in a race against the elements as a photographer it teaches you to be adaptable, to work quickly and build upon your overall skill set. 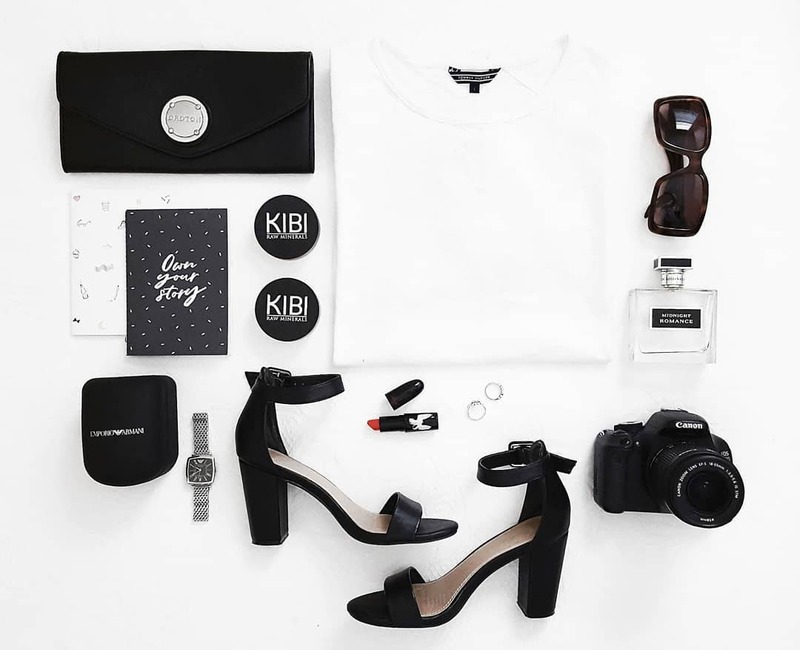 Flat lays are all about featuring particular products and to ensure the items pop you want to lay them against a white background. 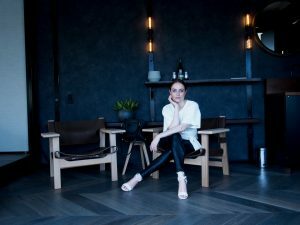 Keeping things neutral will not only allow better use of colour but keeps things looking sleek when an image is later added to an Instagram grid. Play around with different background textures from marble, to tiles to throw rugs to add an extra element and add once your have a solid foundation proceed to adding the layers to your image to build character.